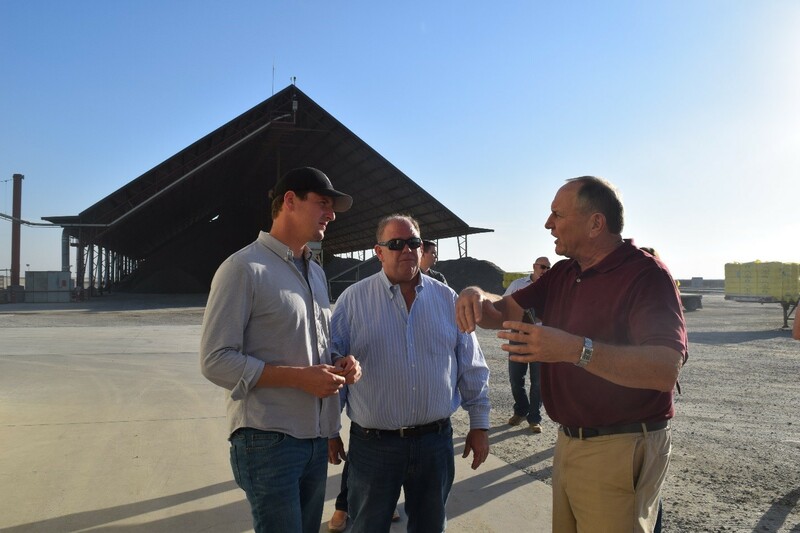 The Association as well as members of the Agricultural Presidents Council hosted Senator Henry Stern on a tour of agricultural operations in the Central Valley. Senator Stern represents the 27th Senate District which includes parts of Santa Clarita, Malibu, Calabasas, Thousand Oaks, Canoga Park, Lake Balboa and much more. The Senator has Valley ties, but wanted to understand agricultural issues in more detail. CCGGA brought the Senator to Cross Creek Gin to show how cotton is transformed from coming in from a module to a bale ready to be sent to a textile mill. CCGGA Board Member, Kirk Gilkey shared the history of cotton in California, the advancements the industry has made in technology and how California cotton holds pride in the ability to grow some of the strongest and softest fiber in the world. Spending the entire day with the group the Senator was able to visit a dairy farm, a citrus operation, a table grape operation, a cotton gin, a pistachio processor as well as receive an aerial demonstration at Lakeland Dusters Aviation. This entry was posted in NEWS & ISSUES on October 24, 2018 by ccgga.